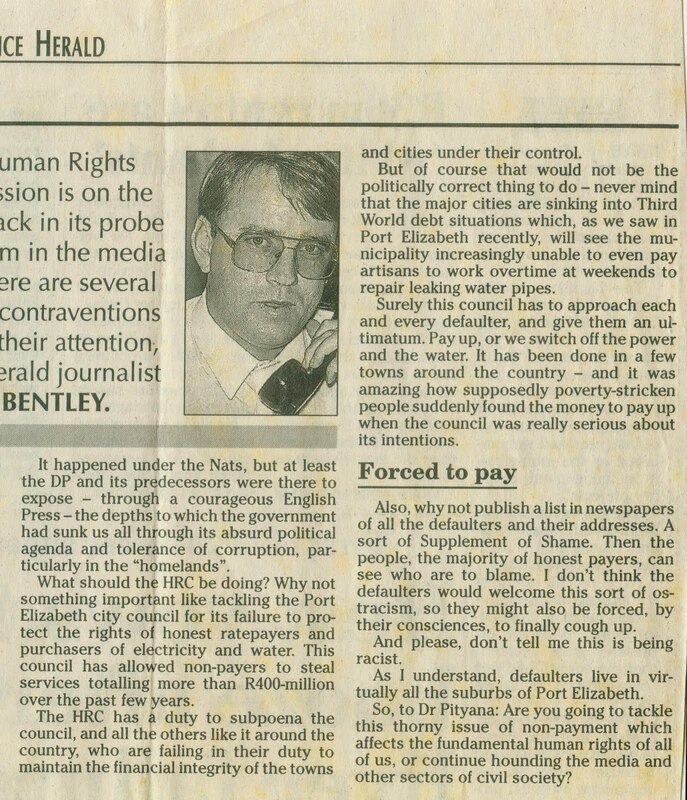 Herald editor at the time Ric Wilson should be commended for running the Saturday Debate page for several years. Sadly, the Herald stopped publishing on Saturdays six or seven years ago. The last legs of my article continues below. 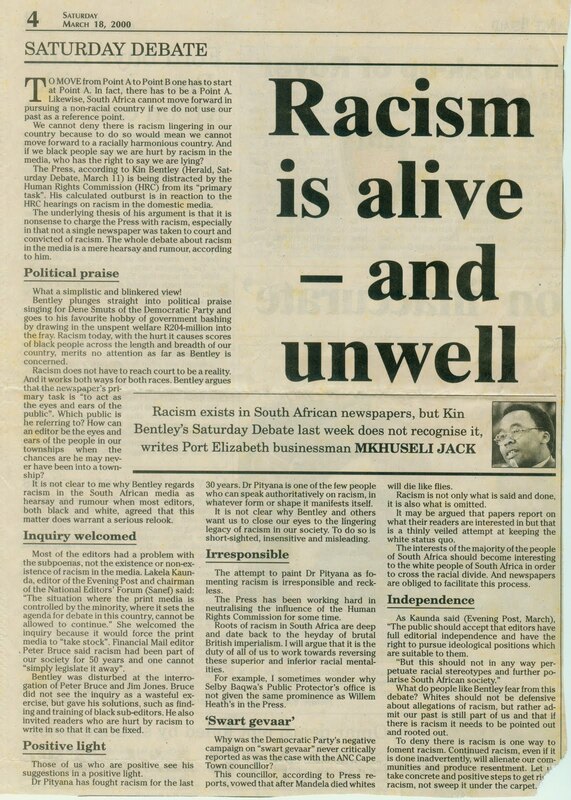 I first met Mkhuseli Jack at the height of the anti-apartheid struggle in the mid-1980s, when he was spokesman for the UDF-affiliated Port Elizabeth Youth Congress. Later I intend to post some of the news reports I produced from those heady days, many of which quote and concern Khusta, who was detained for several years under the state of emergency. 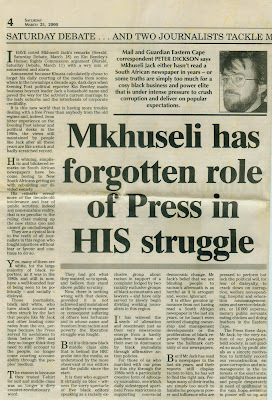 While I stayed in journalism, he got an economics degree in the early 1990s from a British university and came back to slot into cosy directorships in PE businesses, courtesy, no doubt, of his former activist status, which I had helped to boost. A former colleague of mine on the Evening Post, Peter Dickson took exception to Khusta's views, and fired off a few of his own. The last leg of his article, which appeared a week after Khusta's, can be seen below. The last leg of Peter Dickson's piece. 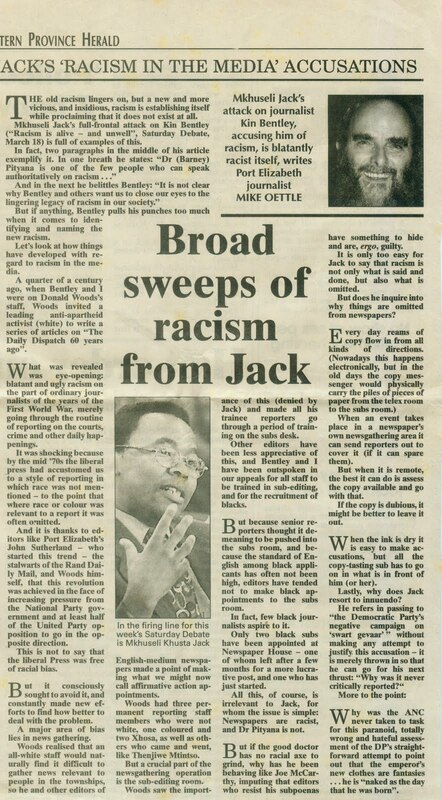 On the same page of the Herald on March 25, 2000, was this article by another Post journalist, Mike Oettle. 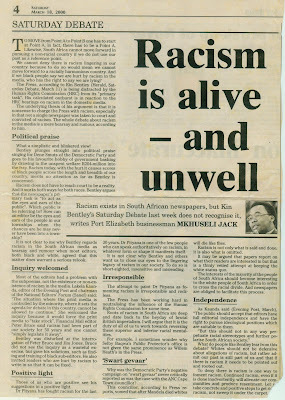 The strap across the top read: Two journalists tackle Mkhuseli Jack's 'Racism in the Media' accusations". Laying out these pages for the Herald at the time was Barry Avery. He later emigrated to Australia, where he got involved in writing for a mining company. 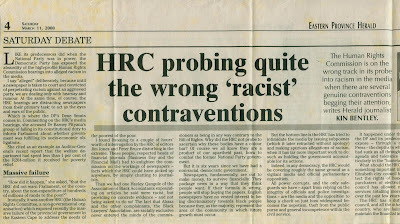 A former Zambian who saw his father train a black person to take his job, he told me it was the diametrically opposed views of myself and Khusta, which he did not think would ever be reconciled, which in part prompted his departure. 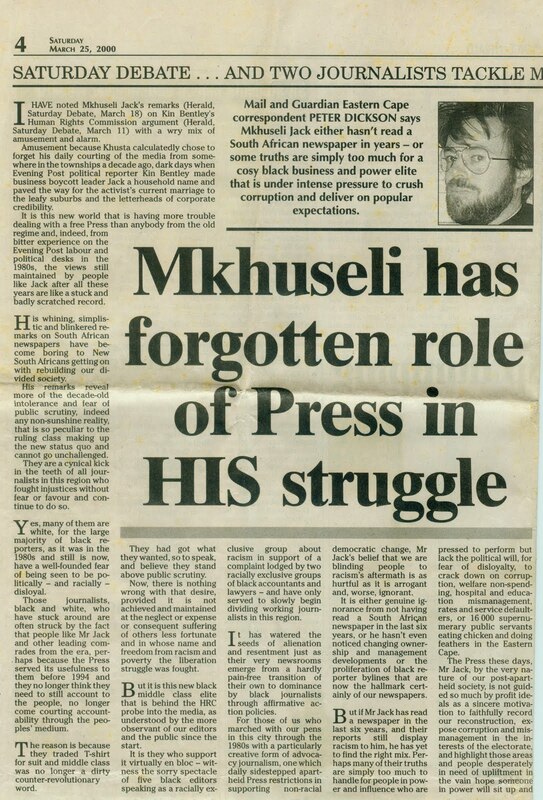 While Khusta, in recent years, has cut ties with the ANC and joined COPE, at times writing fairly conservative articles, people like Malema and Manyi are ensuring that white people remain the convenient scapegoats for government mismanagement, ineptitude and failure. 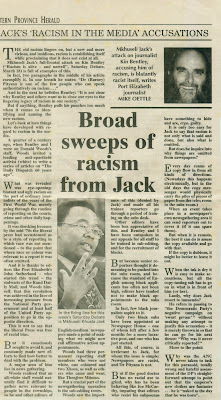 This article wasn't dated, but was probably also from around March, 2000. I was rankled by this outsider's view that Afrikaners were somehow more South African than native-born English-speakers, like myself. 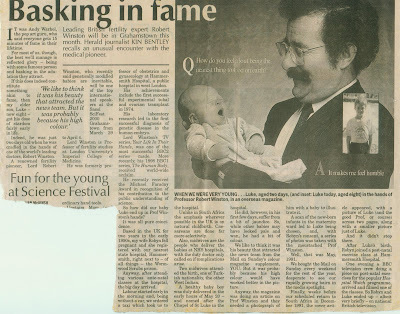 And just to show it wasn't all about politics, I had this piece published in the La Femme supplement of the Herald on March 22, 2000.